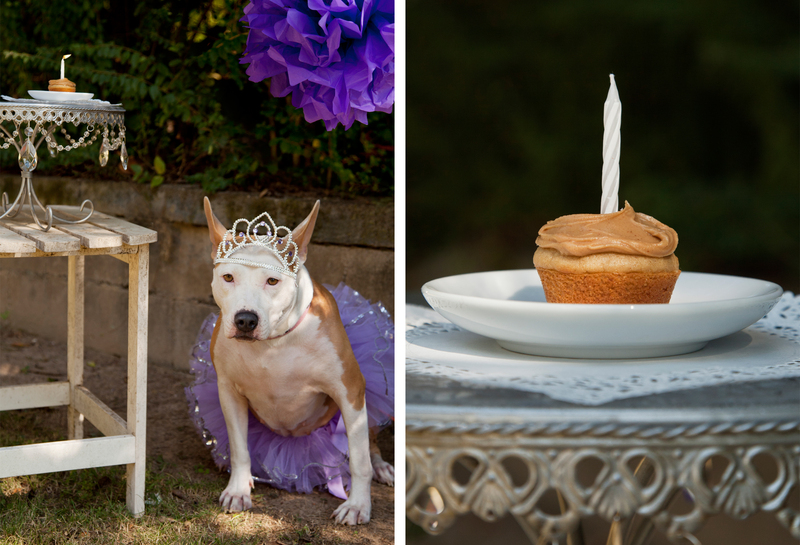 Several months ago I had the opportunity to photograph Ms. Lacey, a sweet dog with lots of energy. 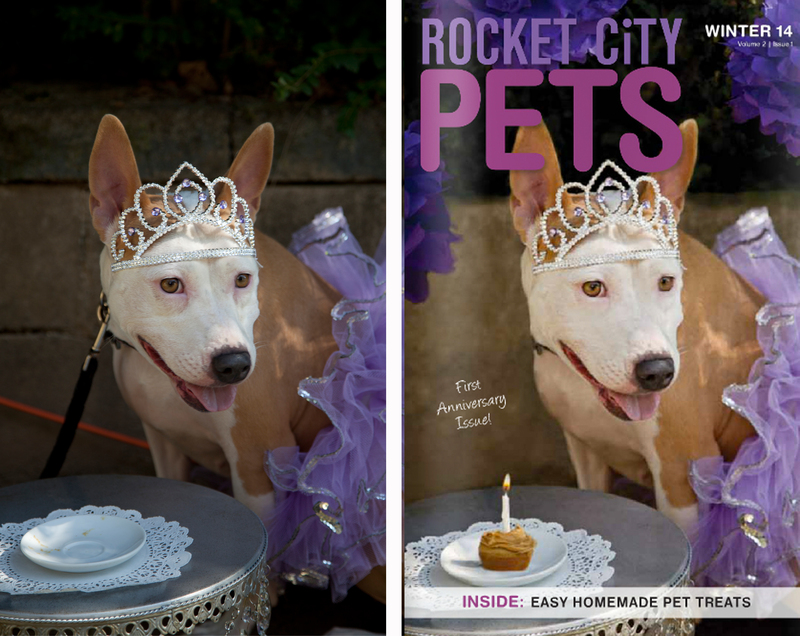 The shoot was for an article about homemade dog treats for the magazine Rocket City Pets. So my plan was to create mini scenes, dress my friends dogs in costumes, place the treats on the plate in front of the dog and effortlessly get amazing photographs. Sometimes I can be really naive. The idea for the shoot was a good one. 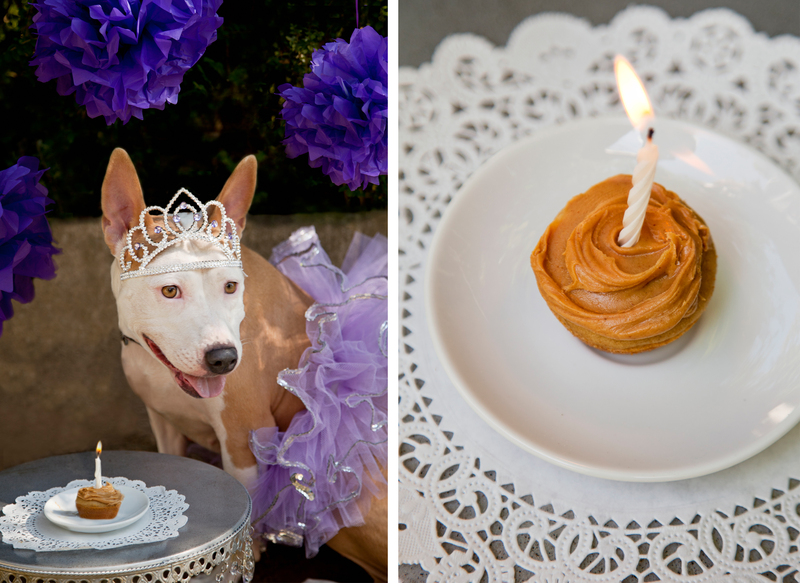 I wanted to create a birthday scene, with the pup cakes front and center, candles lit, and Lacey dressed in her birthday finest complete with a tiara and tutu. I bought a tiara and custom fit it with elastic to stay on Lacey’s head. I converted a tutu with a tie on the front so it would be easier to fit onto a dog. I even got tissue paper balls to create a nice birthday feel. But alas, “the best-laid plans of mice and men, often goes awry” to paraphrase Robert Burns. This quote is nearly always true when it comes to photographing children or animals… and sometimes awkward adults. 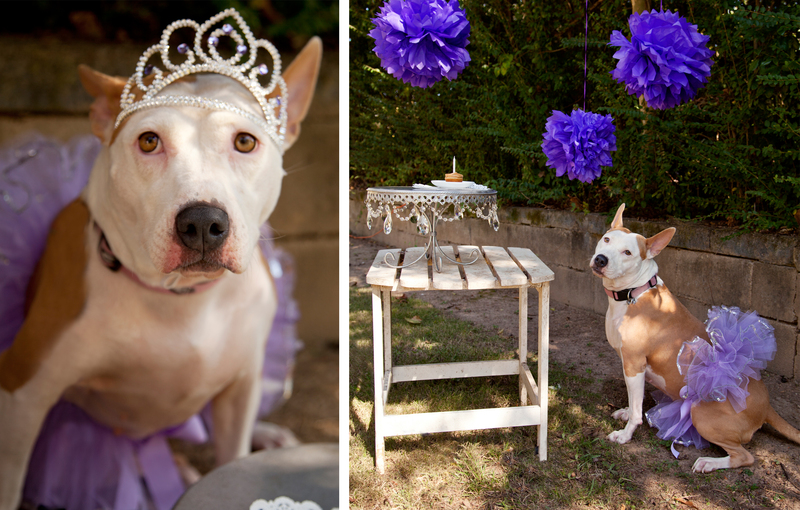 Lacey was surprisingly blasé about wearing the tutu, but the tiara was really asking a lot. Every time we would get the tiara on her she would shake it off and then we would put it on her again and she would shake it off. We played this game for quite a while until Lacey gave up and let the tiara stay, but she wasn’t happy about it. She turned her back to the camera, laid on the ground and sulked. Her owner and I thought she might cheer up with a pupcake, and she did, immensely. The problem was she LOVED them and every time her owner (human mother) would place one on the plate she would gobble it up before I could snap the shutter. I got shot after shot of a blurry Lacey licking her lips after inhaling the treat. There was also an alarming moment when we thought she had eaten the candle, which I at least had the foresight to not light. I began to worry she would get sick after eating so many treats, and yet I didn’t have a usable image. 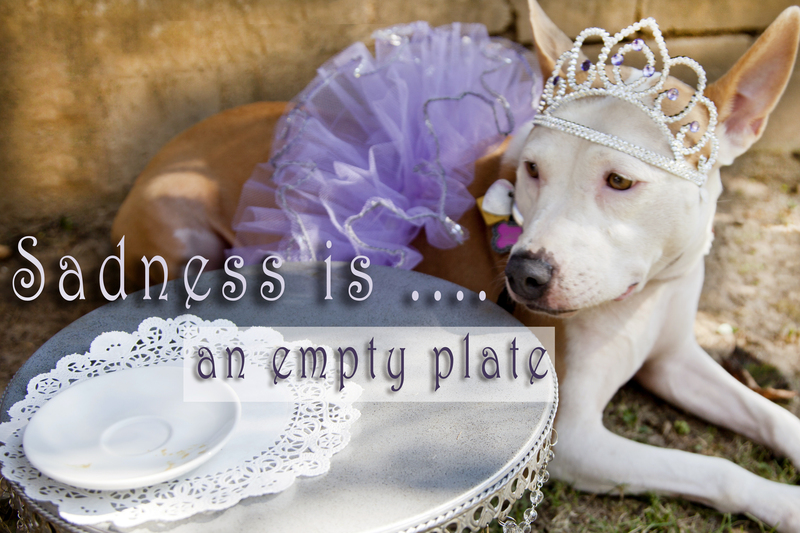 At this point I opted to photograph Lacey in front of an empty plate and Photoshop the cake into the image later. Here is the before and after shots. I don’t usually do this much post-production work, but this just goes to show you even dogs get unrealistic makeovers for their cover shoots. Below is the recipe to make your own peanut butter banana pupcakes. I can’t speak for all dogs, but Lacey is a HUGE fan. Also I wanted to give a shout out to Lacey’s adoption agency Two by Two Rescue in Helena, Alabama. I don’t currently own a dog, but I am a big advocate for adopting rescue and shelter dogs. If you get one half as sweet as Lacey you have hit the jackpot. 1. Preheat oven to 350◦F. Lightly grease 12 regular-sized muffin tins or 36 mini muffin tins. 2. Combine ½ cup peanut butter and remaining ingredients in a large bowl; stir 2 minutes. Divide batter evenly among muffin tins, filling cups almost full. Bake 18-20 minutes for regular-sized cupcakes; 12-15 minutes for minis. Remove from pans and cool completely. Frost with remaining ½ cup peanut butter. If you would like more dog treat recipes visit my other blog posts: Doggie Pumpkin Biscuits and Oatmeal-Cinnamon Biscuits. Categories: Recipe | Tags: banana, dessert, Dog, dog desserts, Dog Treats, Food, food blog, peanut butter, pupcakes, recipe, rescue dogs, rocket city pets, thejealouscrumpet, two by two rescue, Violet Henri | Permalink. How super cute! Can’t imagine my doggie sitting so patiently in a tutu & tiara 🙂 Thank heavens for photoshop, eh?! And these cakes sound amzing. Yes, photoshop has bailed me out numerous times. I remember the good old film days. There was much more mystery with what you would end up with. I didn’t taste the cakes myself but I can attest that the pups were huge fans. 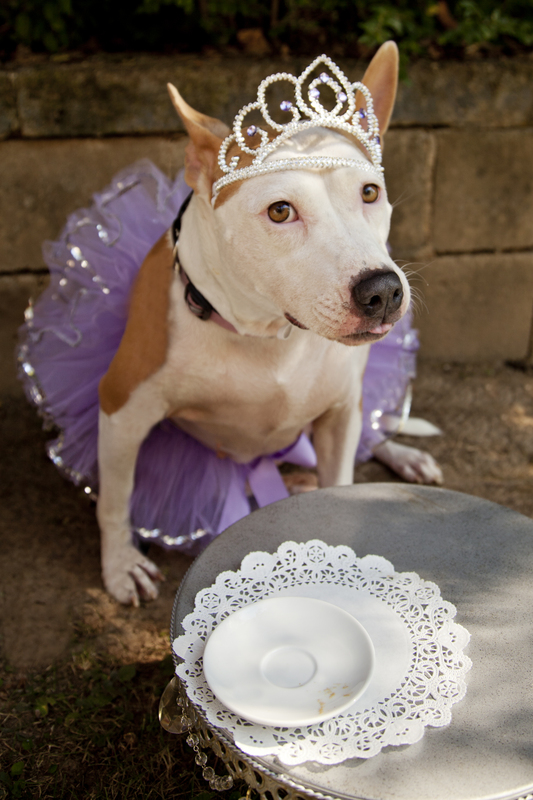 How wonderful and how you got that gorgeous doggie to sit still with a tutu and tiara on it amazing. Mine wouldn’t have it at all! Love the pupcake recipe too! Thank-you! It was quite a workout to get a the tutu on Ms. Lacey. I was sweating like a pig by the end. Fun times. I am sure your pugs will LOVE the pupcakes. They were a big hit with all the doggies. wow that bottom picture would have been the best for the advert, impressive expression. Animals do the : I have been neglected and nobody loves me act so well 🙂 – my cat is brilliant at this, he also adds in a piercing Miaow to underline the urgency…. And it is so true. Of the dogs I’ve had in the past shelter dogs have always been the sweetest. That is funny that you have to have a balcony to adopt a cat. That is good that they are protected though. There are sadly so many stray cats here that I don’t think there is a very high standard for adopting them. It is a great story that you cat had to be flown to you. What is your kitty’s name? I looked on your blog but there are no photos of him. Next week I am doing a photo shoot with cats and LOTS of balls of brightly colored yarn. I am really looking forward to it and worried about it. You can never tell what you will get when working with animals. It is so good that animals are treated so well there. I wish we were the same way here. That’s an amazing name for a cat. It sounds like he has big personality to go with with his name. It’s funny that he looks like Putin. I’ve never seen a cat that looked like Putin. When I was a child we had a cat that had a short little mustache under his nose similar to Hitler. Not the best look, but she was a very sweet cat. Her name was Biscuit. Photograph is a lot of work, but a really fun job. I used to be a banker which was easy, but not nearly as rewarding.